Provenance: The John Nixon Collection, Centerville, Indiana; Private Collection, Elkhart, Indiana (thence by descent). Exhibited: Richmond, Indiana, Richmond Art Museum, "Poetic Woodlands: The Art of John Elwood Bundy," August 25–October 13, 2002 (label verso). Note: A rare Franklin County, Indiana, subject by the artist. 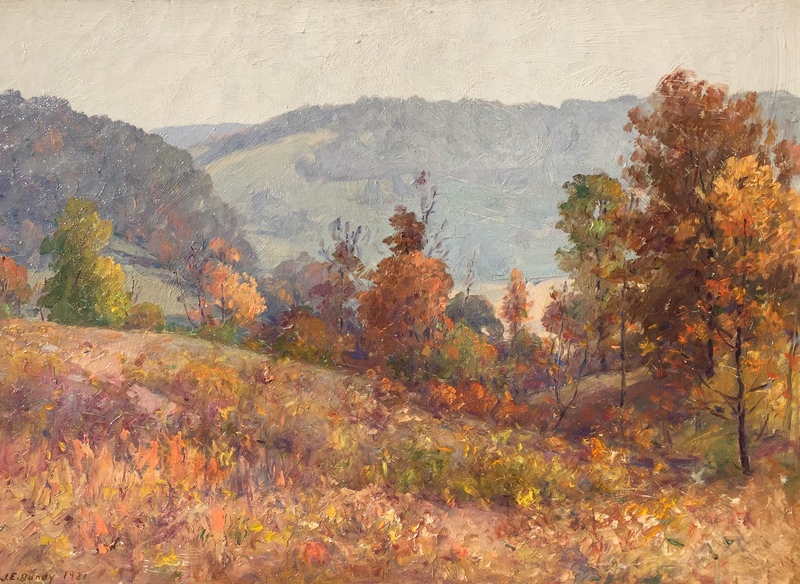 Relates in color and style to J. Ottis Adams and T. C. Steele paintings of the same area. Fine original frame, and with excellent provenance and exhibition history.